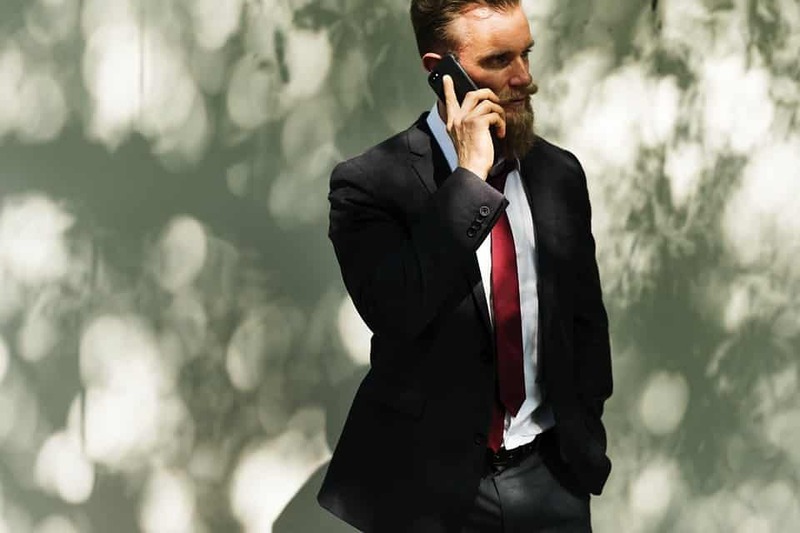 Studies show that men with beards are more attractive than their clean-shaven counterparts. But if you’re planning to grow a beard, you’ll need to trim it regularly; otherwise, it will turn into a bushy, unkempt mess. Washing goes hand in hand with trimming with a beard. Unfortunately, though, this is a step that many men overlook, believing the natural oils produced by their skin will help moisturize their beard. While natural oils do moisturize, you still need to wash your beard. Failure to do so will result in dead skin cells and other debris becoming trapped. Another helpful tip is to comb your beard before trimming it. Using a medium-stiffness comb, comb your beard towards the grain to straighten it out. 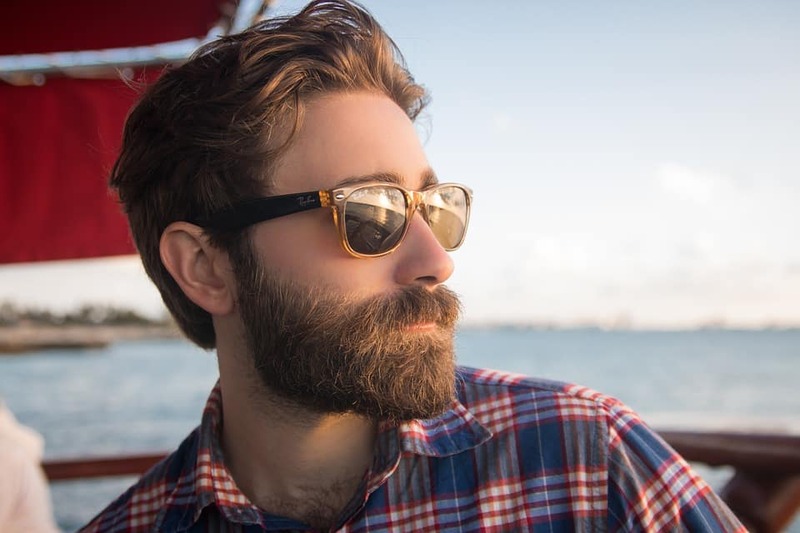 By combing your beard, you’ll remove any tangles or knots while allowing for an easier and more efficient trim. 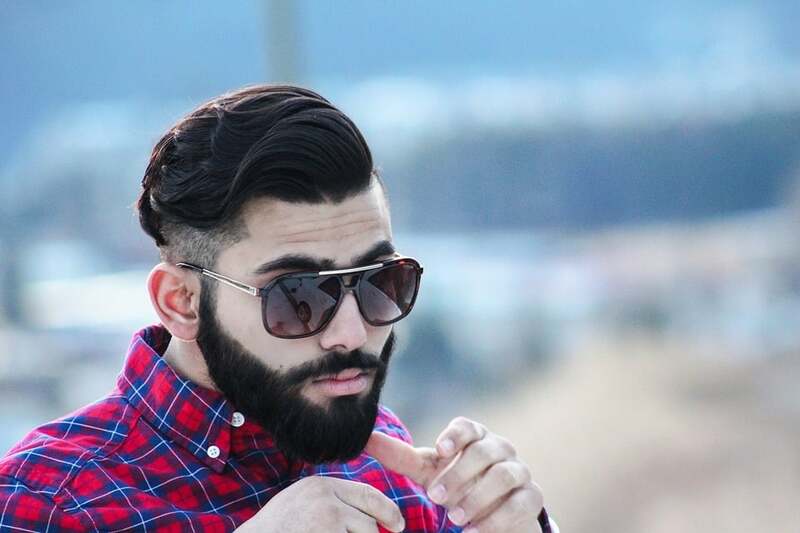 It’s a good idea to trim the hair on your neck and cheeks higher than your actual beard and mustache. Why is this necessary? Well, it’s the same principle as “fading” the hair on the side of your head. You want the focus to be on your mustache and beard, not your neck and cheeks. Therefore, trimming your neck and cheeks so the hair here is longer than your mustache and beard helps you achieve this goal. There’s nothing wrong with cutting your hair when it’s wet, but you shouldn’t attempt to trim your beard when it’s wet. The problem with trimming a wet beard is that it may look different when dry. You might trim your beard, only to discover later that it doesn’t look how you wanted it to. To prevent this from happening, err on the side of caution by trimming your beard only when it’s dry. This way, if it’s not just right, you can adjust it accordingly. An electric trimmer is an invaluable tool that can help streamline the beard trimming process. A high-quality electric trimmer ensures a consistent, even trim while also giving you greater control over length. However, you should still finish up with scissors. After you are finished trimming your beard with an electric trimmer, go over it with a pair of scissors to remove any stray hairs. In addition to creating a more polished finished, using scissors also allows for a more natural-looking beard. Should I Shave with a Straight Razor or Safety Razor? This is a question many men ask themselves. 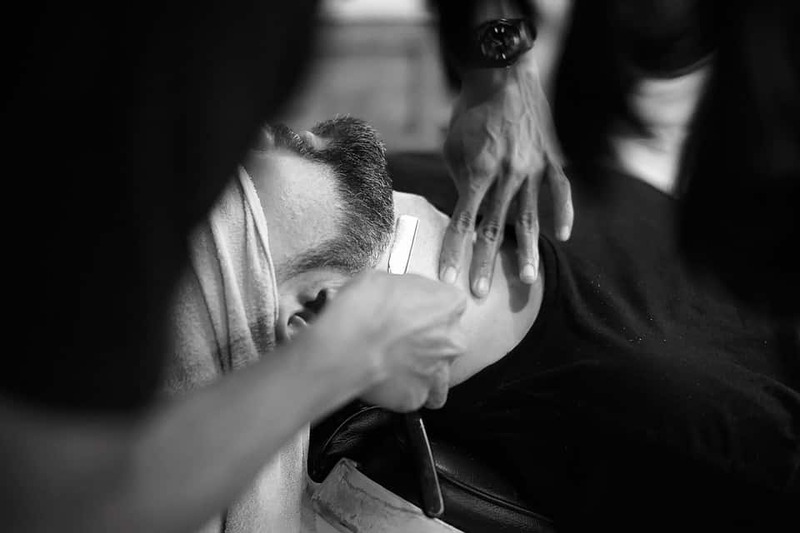 Shaving is arguably one of the most important steps in self-grooming. By removing excess facial hair, you’ll create a cleaner appearance — and that’s something every man should strive for. Of course, there are different types of razors available, the two most common being straight razors and safety razors. So, which razor should you choose? The straight razor is the oldest and most traditional style of shaving razor. It’s characterized by a single, long razor attached to a handle (see above). From afar, straight razors resemble knives, which is essentially what they are. You hold the handle in one hand while carefully running the blade across your chin, neck and other areas where you want to remove facial hair. So, what are the benefits of using a straight razor? For starters, they tend to last longer than their safety razor counterpart. A high-quality straight razor will offer you countless years of use. Granted, you may need to sharpen or replace the blade, but you don’t have to worry about replacing the actual straight razor. Another benefit of using a straight razor is the simple fact that it’s less likely to produce razor bumps. This is because straight razors don’t create the same “close” shave as safety razors. The safety razor is a relatively new concept that first appeared in the early 1900s. Prior to its invention, the only tool available for shaving was a straight razor. Safety razors are characterized by the use of a protective component (usually made of plastic) between the blade and the skin. This plastic is designed to reduce the risk of cuts when shaving. While you can still cut yourself when shaving with a safety razor, it’s less likely to happen when compared to a straight razor. Safety razors often feature two, three or even four blades. With more blades than a straight razor, they typically offer a closer shave. This can be both good and bad, however. 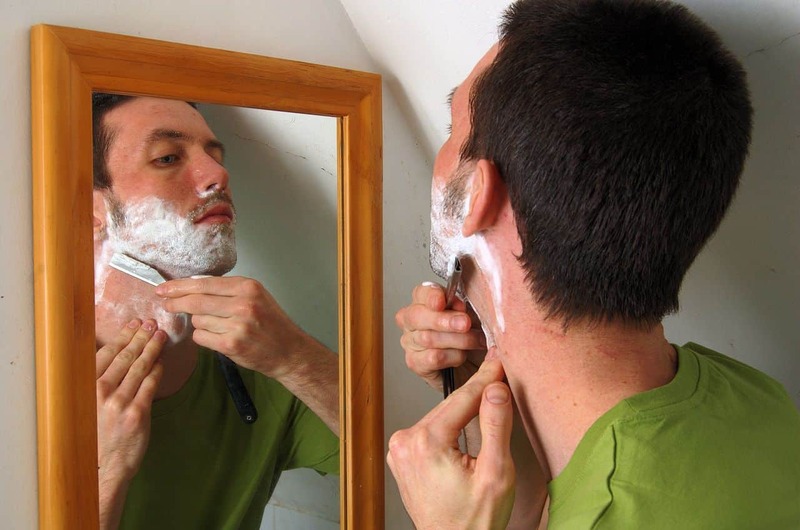 A close shave means you get a cleaner appearance, but at the same time it also increases the risk of razor bumps. When you shave too close, hair follicles may grow inward and sideways, which is essentially how razor bumps form. If you’re going to shave with a safety razor, choose one that has three or fewer razors to reduce the risk of razor bumps. Some men assume that straight razors are obsolete and no longer needed given the countless number of “safety” razors that are now available. However, a straight razor offers several key benefits that aren’t found elsewhere. They are cheaper to use than safety razors; better for the environment; and when used correctly they reduce the risk of razor bumps. But how exactly do you use a straight razor? Before shaving with a straight razor, you should prep your face by either taking a hot shower or applying a hot towel to your skin. The purpose of this is to encourage your pores to open, making it easier to shave while also reducing the risk of razor bumps and cuts. Next, apply a generous amount of shaving cream to the areas you want to shave. Don’t just place a huge clump of shaving cream on your skin, but rather massage it into your skin. This helps to distribute the shaving cream more evenly. Shaving with a straight razor requires a different approach than using a traditional safety razor. Without a “guard” to protect against cuts, you’ll need to make more methodical strokes. So, start by making slow and even strokes by going in the same direction in which your facial hair grows (with the grain). This is particularly important, as shaving against the grain increases the risk of razor bumps. When holding your straight razor, try to keep it at a 30-degree angle. When the blade is pressed at a higher angle, it increases the risk of cuts. So, try to keep your straight razor pointed at a 30-degree angle as you shave. You should also be sure to apply an appropriate amount of pressure. Too little pressure and the razor will simply glide across the hairs without actually cutting them. If you apply too much pressure, however, you may accidentally cut yourself — and that’s something best avoided when shaving. Apply additional shaving cream as needed (you should only shave when skin is moist and lathered). Maintain a clean, sharp blade. If the blade is dull, replace it before using it. Always shave with the grain and never against it. Apply an aftershave lotion to help soothe irritation and prevent razor bumps. If you accidentally cut yourself when shaving, apply styptic powder to the affected area.